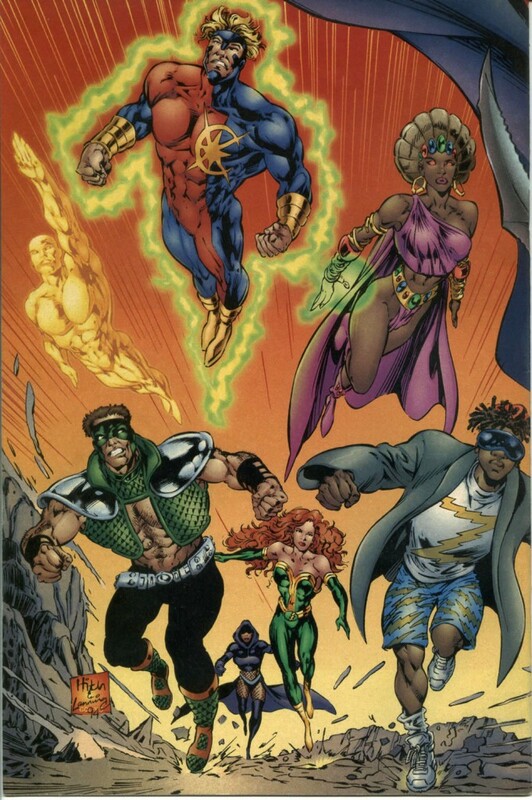 As much as I like Rick Hoberg’s art, my favorite single image of The Strangers was actually drawn by a superstar artist not usually associated with The Ultraverse. Bryan Hitch delivered this awe-inspiring image and I have to say that I sometimes wonder if the group’s popularity wouldn’t have been a bit better if the series had featured a slicker art-style than what we usually got from Hoberg. Rick Hoberg was solid and did a fine job but it was also a little old-fashioned, at least to my eyes. Anyway, let’s all agree that this particular image really pops, shall we?